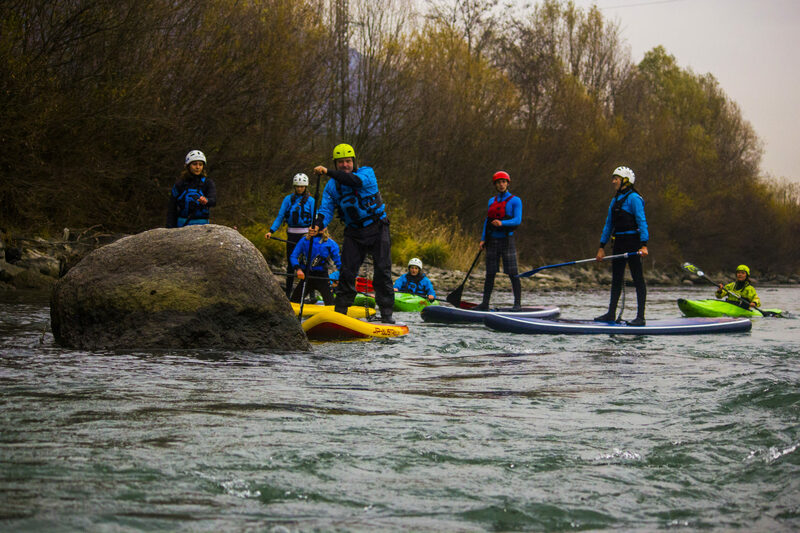 Inaddition to rafting, we also enjoy the Adige river on our SUPboards. 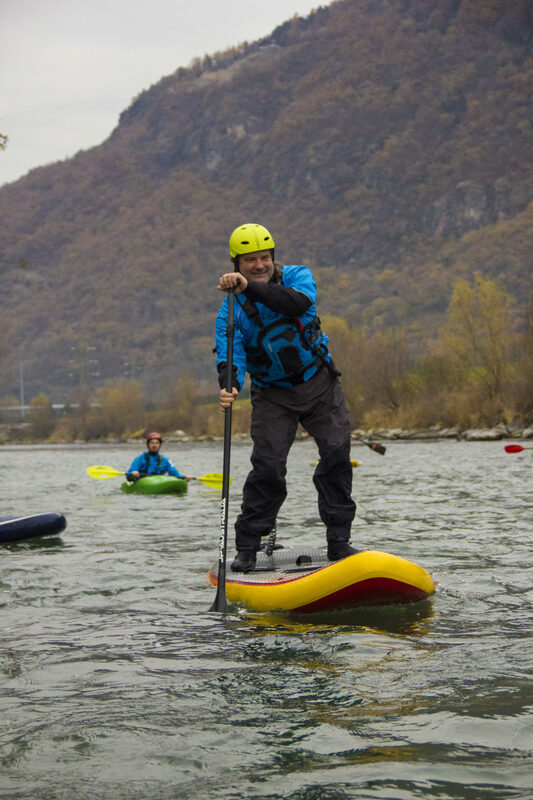 SUP riding on a lake is enjoyable but on the river we takeit to a higher level. 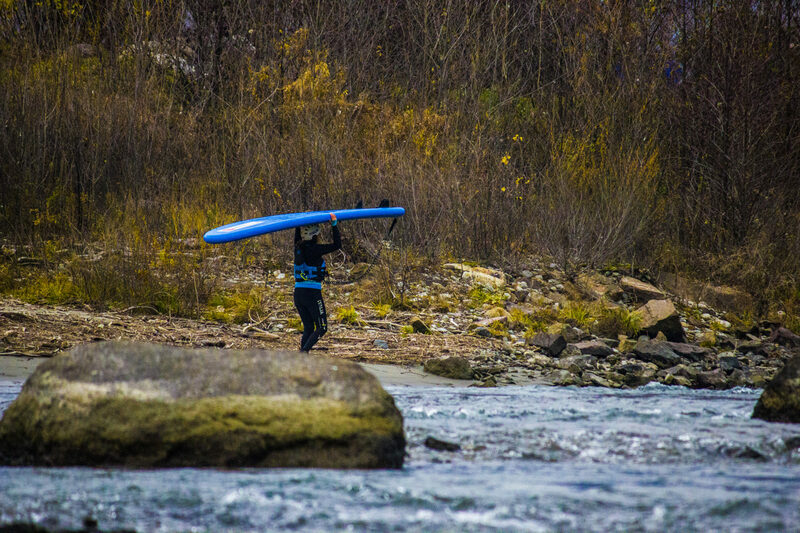 Theriver challenges you with waves and different currents. Welook forward to great action, fun and wet moments. 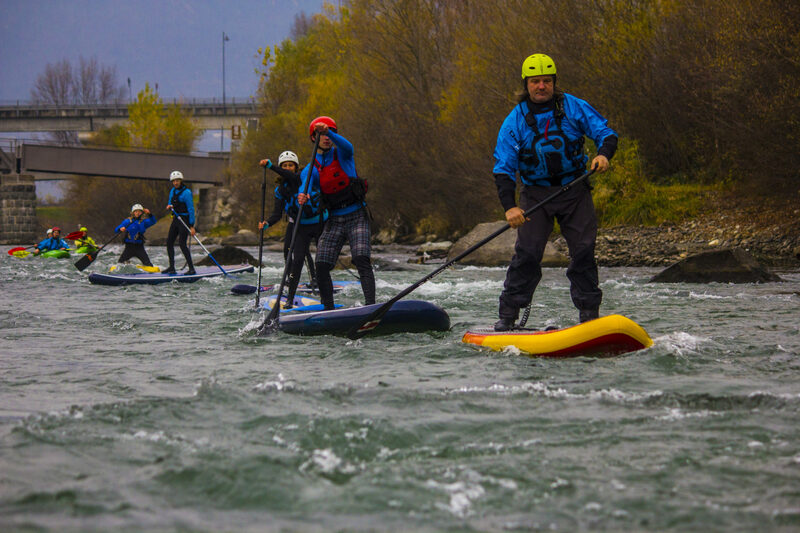 Equipment (SUP, paddle,wetsuit, helmet and life jacket) is provided. AND moreimportantly a good sense of humor and a desire to have fun! The tourwill take place in any weather, because we get wet anyway! 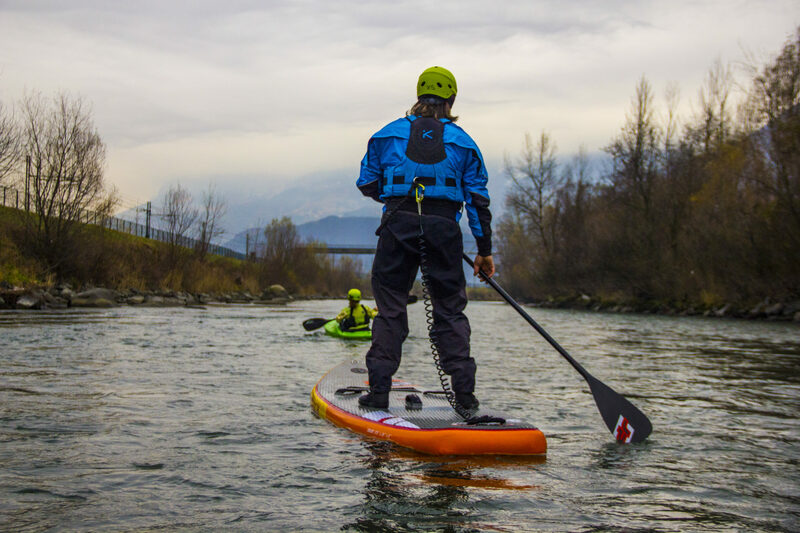 A descentby sup can be a great opportunity to enjoy the outdoors even in badweather. Although the probability of finding bad weather in SouthTirol during the summer season is still very unlikely. Safeadventure is our top priority. 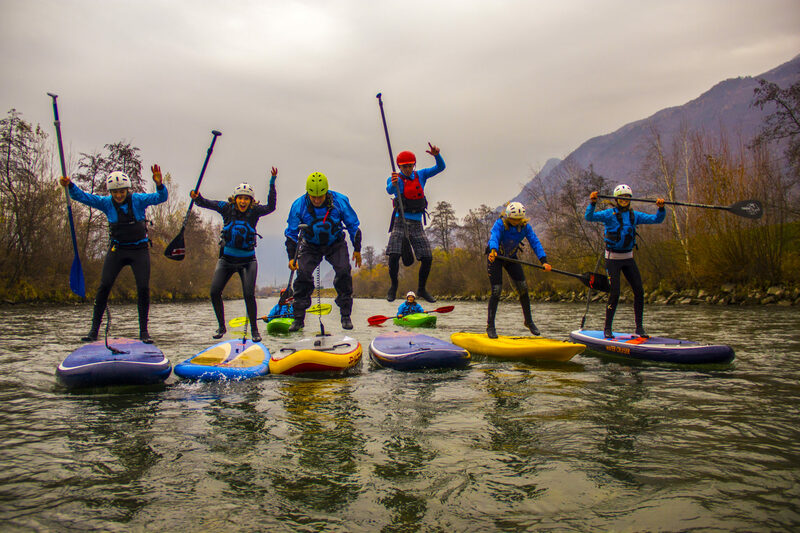 Therefore, our guides have beentrained according to the most current river safety standards and havebeen “thrown in” to all possible moving waterconditions. (Istruttore Livello 2 ACSE) Regarding our equipment, wewill not compromise, we use up to date material which meets all thesafety standards requirements. 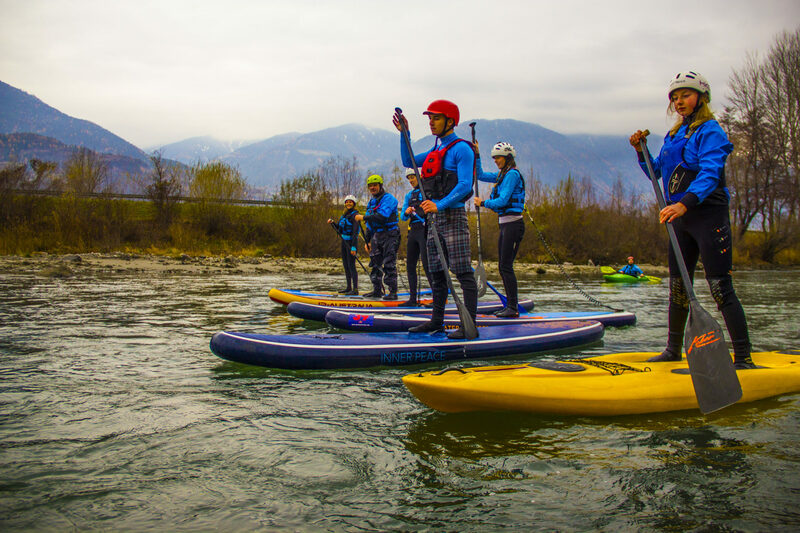 Aspecial highlight is our adventurous SUP – day trip. 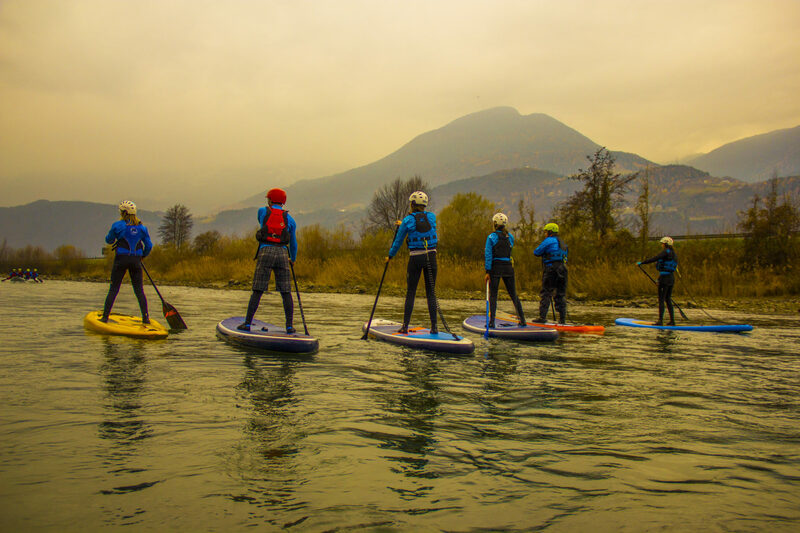 Wewill paddle on one of the most beautiful lakes in Italy. 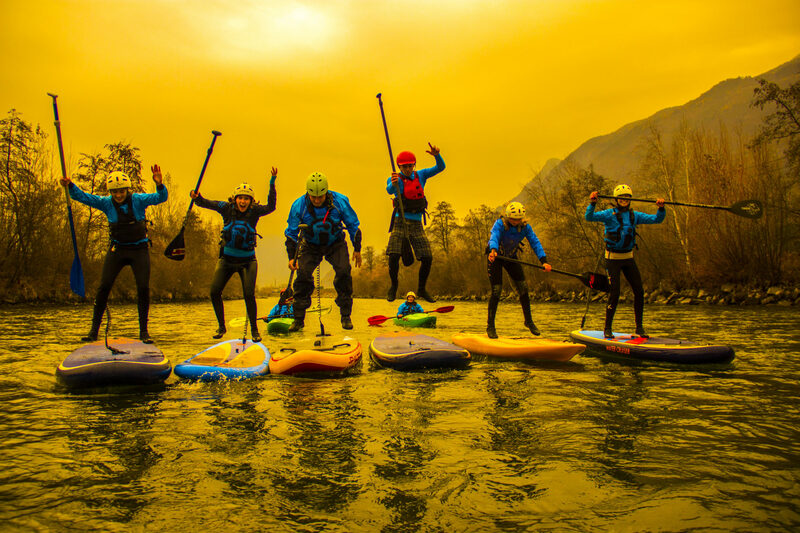 Easyfloating on calm water while discovering breathtaking canyons.